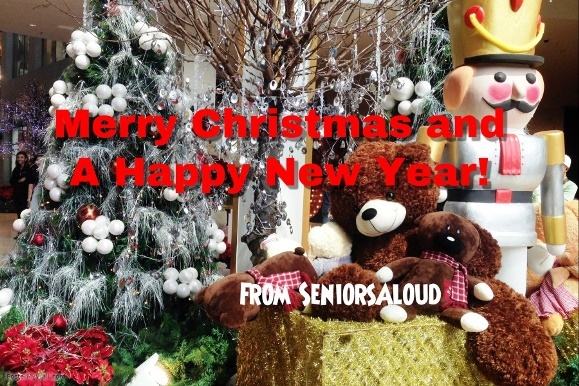 2015 ended on a high note for SeniorsAloud with an increase in membership, newsletter subscription and online traffic to our blog and Facebook page. We were interviewed by the print media on several occasions, and had a number of our letters published in The Star, voicing our concerns about issues relating to seniors. 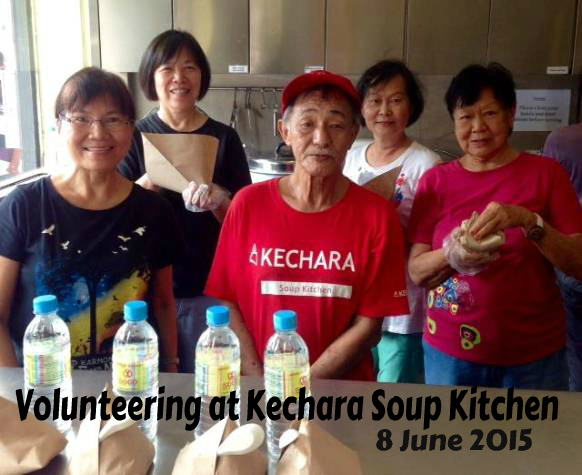 It was also a successful year of community service as highlighted in our previous post. With continued support from our members and friends, we hope to do even more in 2016 for the elderly in need of assistance. 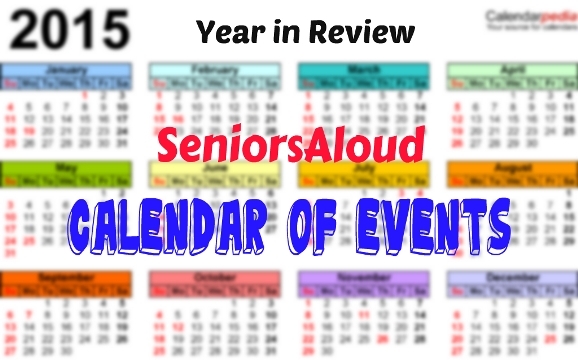 Looking back, 2015 was certainly a busy year for SeniorsAloud. Here's a look at our 2015 calendar of events. 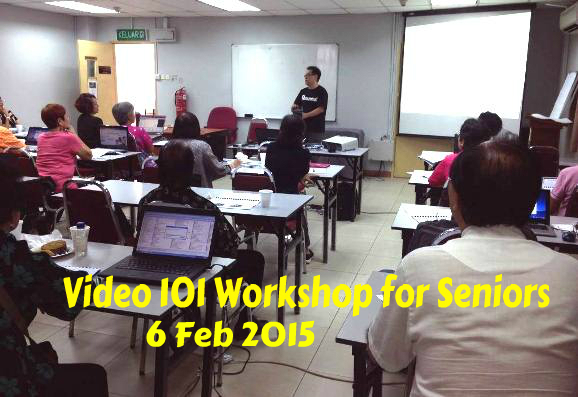 We know seniors enjoy taking family and travel videos, so we organized a workshop for our members in February. 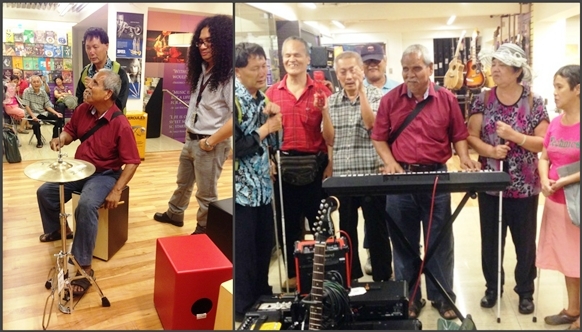 We were fortunate to rope in Alan Chai who has vast experience in producing videos to conduct the session for us at Wisma WIM, TTDI. Thank you, Alan! 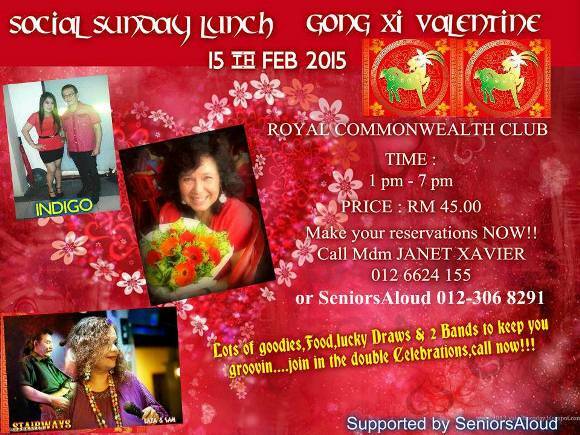 We collaborated with Janet Xavier in organizing GONG XI VALENTINE Tea Dance to celebrate Chinese New Year and Valentine's Day. Seniors love to dance and listen to 60s-80s songs, so we have included Janet's Sunday Social as a regular feature in our monthly newsletter. 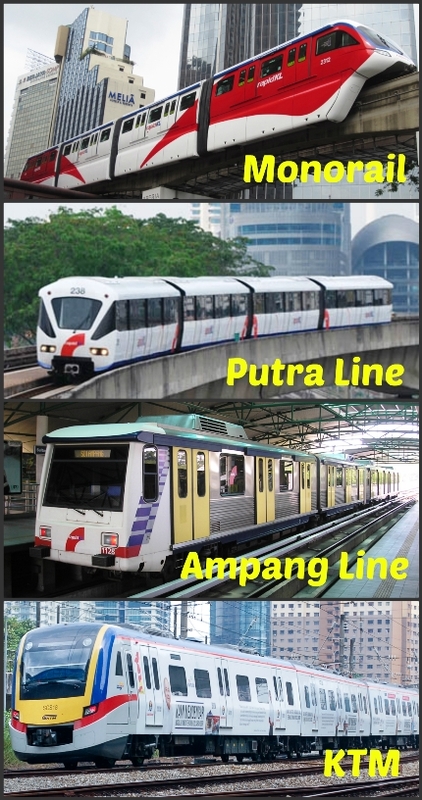 Where can you have good food, great music and friendly people at only RM35 (current fee)? 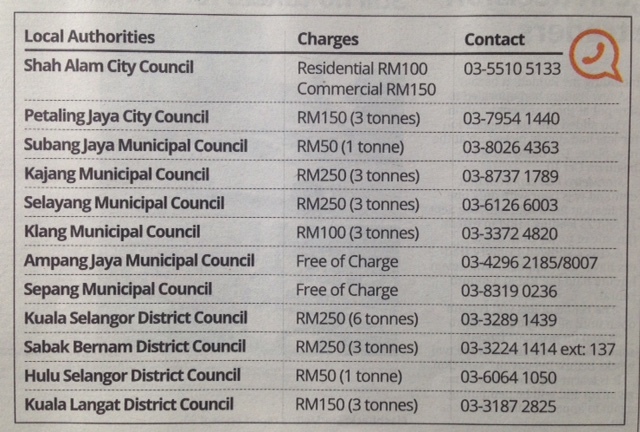 Value for money! 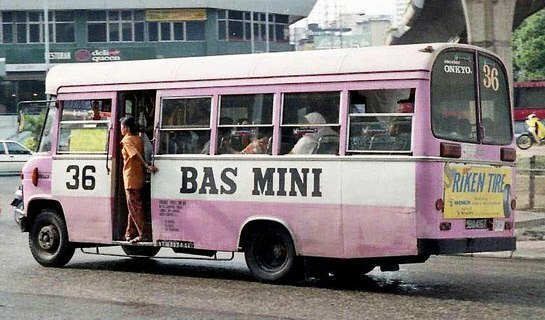 Everyone who went for the Ipoh trip will tell you what a fabulous time we had. 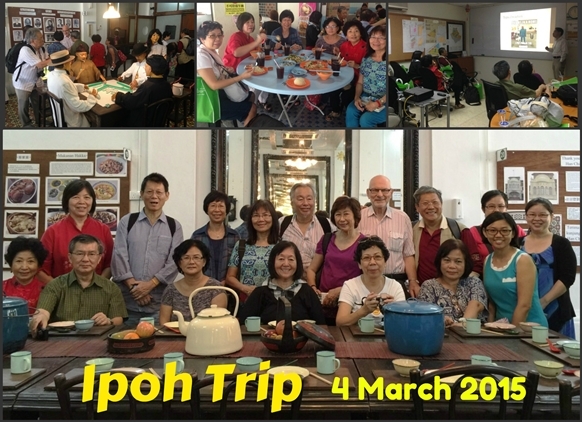 We had a guided tour of The Hakka Tin Miners Club, listened to a talk on Green Acres Retirement Village and were treated to Ipoh's speciality dishes. A big THANK YOU to our host, Total Investment Sdn Bhd, Ipoh. 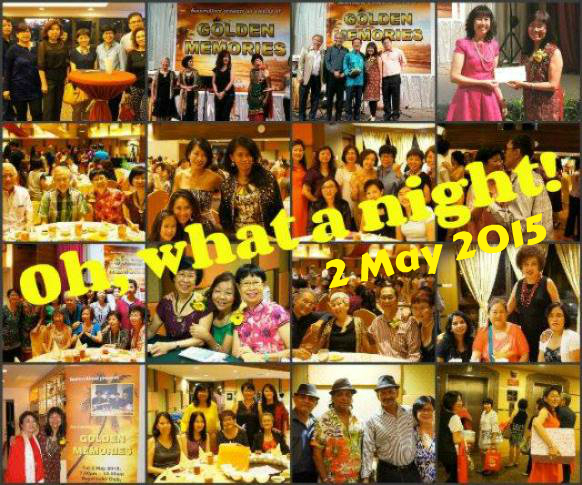 Who could forget our second fun(d)-raising event 'GOLDEN MEMORIES'? The pictures above bear testimony to what a memorable night we had. Proceeds go towards helping the elderly in need. 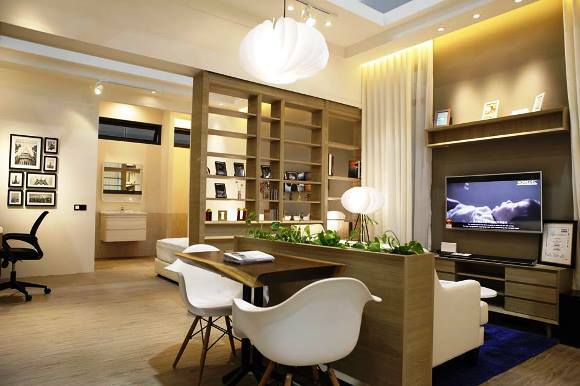 Originaly planned for 27-29 Mar, but due to the 7-day national mourning period for Singapore's Founding Father Lee Kuan Yew who passed away on 23 Mar, Council of the Third Age (C3A) postponed the 50plus Expo to 15-17 May. A total of 38 members from SeniorsAloud and University of the Third Age went on the trip. These volunteers from SeniorsAloud helped to pack and distribute food packets to the hungry and homeless who came to collect their lunch. 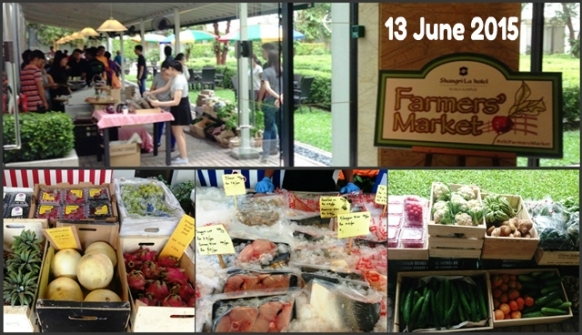 Visit to Farmer's Market at Shangrila Hotel, KL to check out the organic produce on sale. 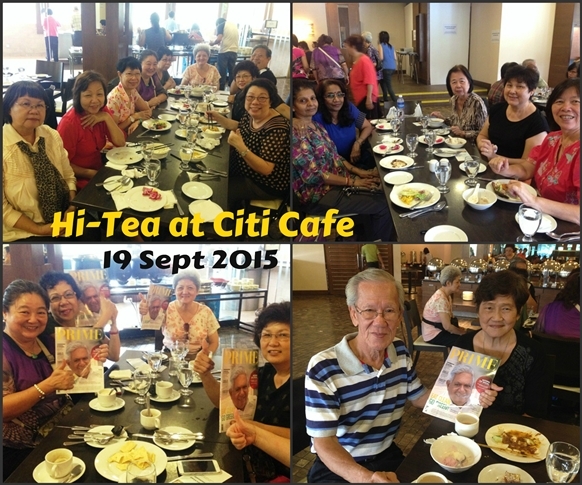 Members and friends who showed up for our Seniors' Hi-Tea at Citi Cafe, MidValley. Everyone received a copy of PRIME, Singapore's leading magazine for the 45+. 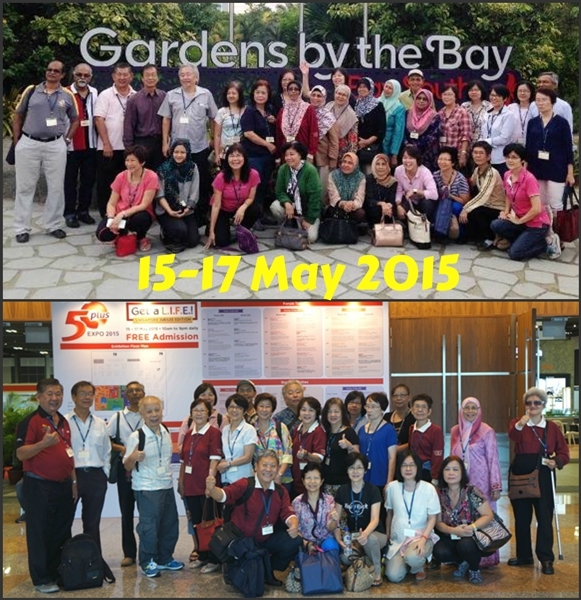 Did you know that SeniorsAloud is also represented in Singapore? 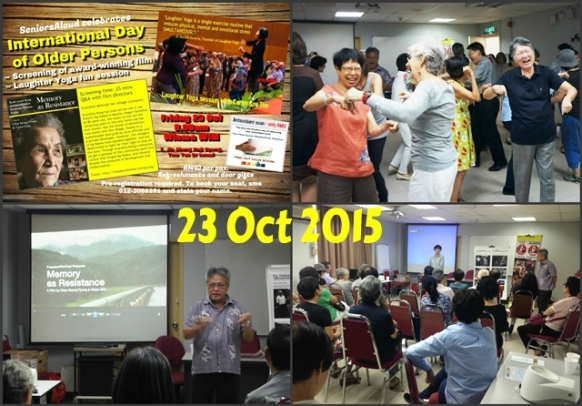 Our 2-in-1 event to celebrate UN's International Day of Older Persons - Laughter Yoga session with Karen Sze Tho, and screening of "Memory as Resistance" with an introduction by the film producers Victor Chin and Chan Soong Foong. There was also antioxidant screening for participants conducted by Amy Ong. 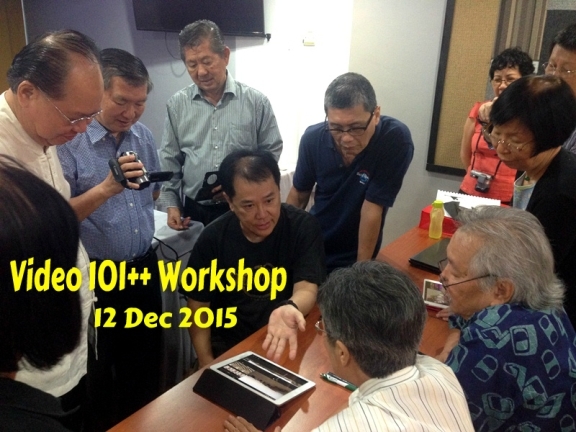 We organized a second video workshop by Alan Chai in response to requests for a refresher and hands-on session. This time it was held at Room at the Top, TTDI. Feedback from the participants - two thumbs up! 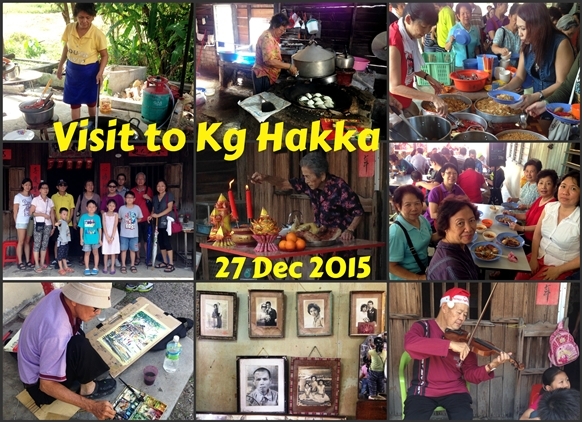 Our last event for the year was our return visit to Kg Hakka, Mantin. Our group consisted of 18 adults and four children. 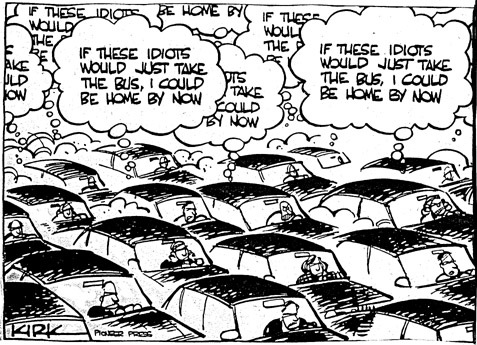 We car-pooled for the 45-minute drive there. To show our support for Rakan Mantin's efforts to save the 120-year old village from demolition, SeniorsAloud made a small donation during our visit. 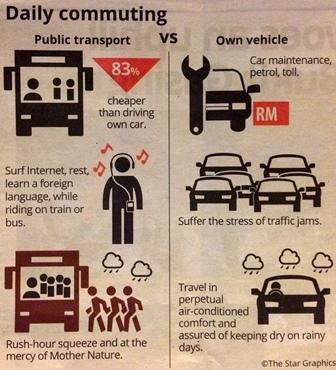 Click HERE to read the Malay Mail coverage of their story. The above are events organized by SeniorsAloud. As our members and Facebook regulars will tell you, we also promote and support events organized by other organizations and NGOs if they are of benefit to seniors. So all in all, there were plenty of activities to keep SeniorsAloud members busy the whole year long. 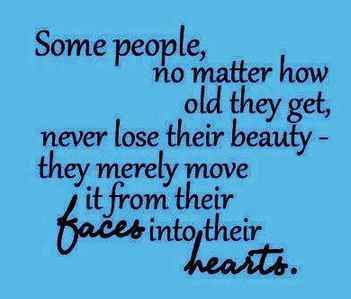 We are firm believers in remaining active in our retirement years. 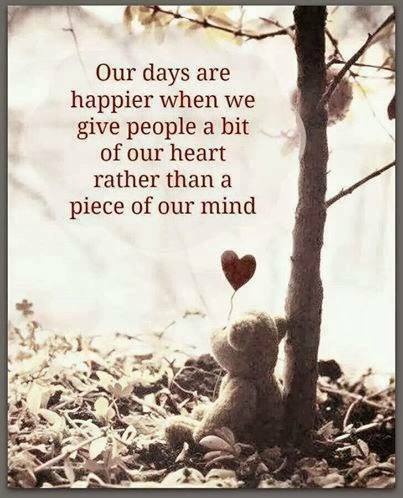 That's one of the keys to a long and healthy life. The SeniorsAloud Team worked hard behind the scenes to ensure the success of all our events. 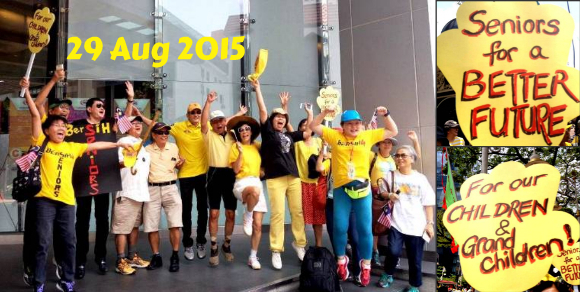 SeniorsAloud has already lined up events and activities for 2016. To find out what they are, get a copy of our January e-newsletter. For members only. Not a member? 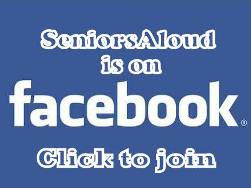 Free registration at http://www.seniorsaloud.com/p/members-registration.html. It's Christmas, the season of giving, not just giving to our family members and friends, but also to those less blessed than us. The best gifts are those that are meaningful, that light up the recipients' face and bring joy to their hearts. Indeed, giving to those in need shouldn't be restricted to festive seasons, but whenever the opportunity arises to help someone. 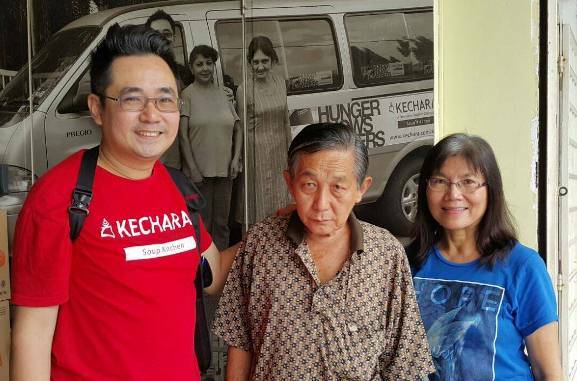 With Justin Cheah, project director of Kechara Soup Kitchen and Mr Liow Cheng Loon, 69. As a red IC holder, Mr Liow is not eligible for govt welfare aid, so SeniorsAloud will be covering the cost of cataract surgery for both his eyes. 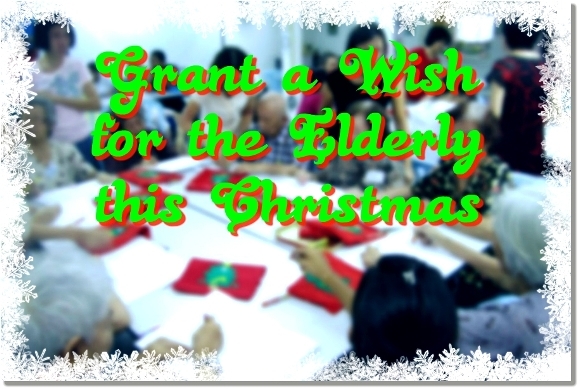 Ever since we featured the latest beneficiary of our 'Grant a Wish for the Elderly' (GWE) on our Facebook page, we have received enquiries for more information about the project. We are only too happy to oblige. Here are some past GWE recipients. A big THANK YOU to all our members, friends and supporters who have contributed in one way or another in making our community service efforts possible. 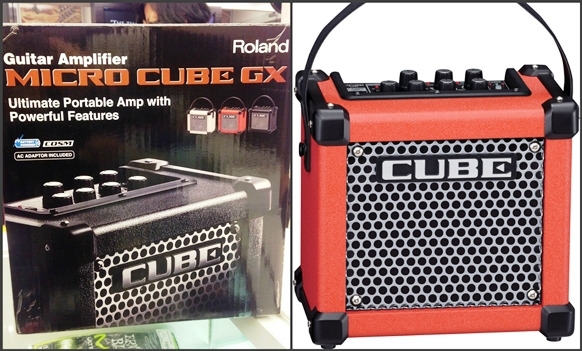 SeniorsAloud donated a Roland Micro Cube GX amplifier to The Happy Buskers in November. We are firm believers in giving back to society. 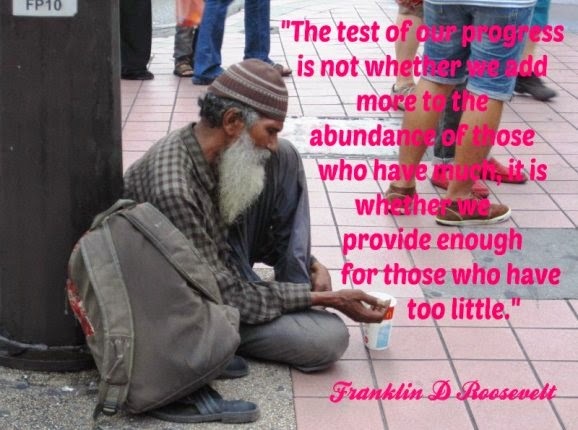 We believe that those who have received blessings in life should extend a helping hand to those who are less fortunate. 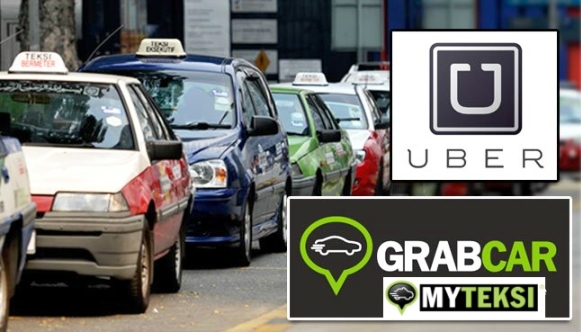 We also believe in supporting organizations/individuals working for a noble cause. Our first GWE recipient was widow and hawker, Mdm Lai Hon Yin who was diagnosed with terminal cancer. SeniorsAloud covered Mdm Lai's house rental for 10 months, so that her eldest son could complete his final semester in UM and find a job to support the family. 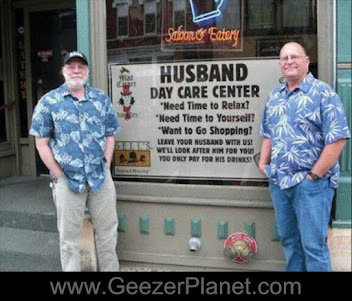 Volunteerism can come in many forms. Not all of us can afford to donate money, but we can certainly give our time, our energy, our experience, our talents/skills to help the elderly who are in need. We can all make a difference in our own way. 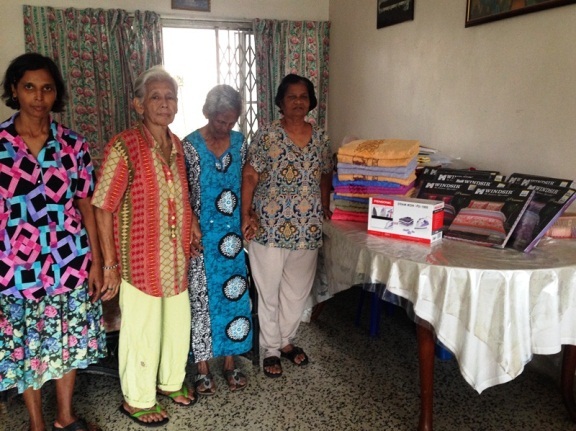 Residents of Phyllis Care Centre in Sec 12, PJ were delighted to receive 14 sets of quality bed-sheets and bath towels to replace their threadbare ones. As a rule, SeniorsAloud prefers to contribute towards a specific cause rather than donate a lump sum to individuals or organizations for them to use it as they see fit. Here are more of our past community efforts. 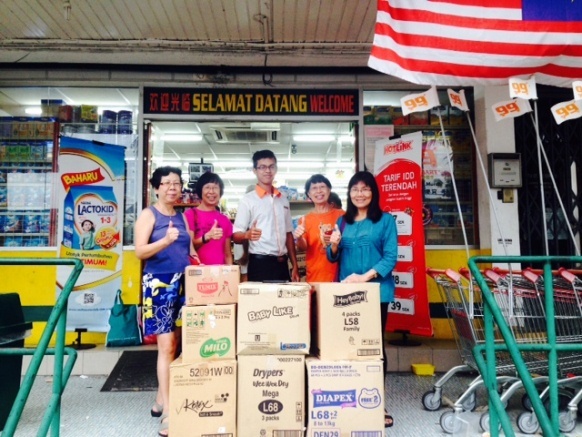 SeniorsAloud donated RM2000 worth of food and medical supplies for victims of the East Coast floods in Dec 2014. 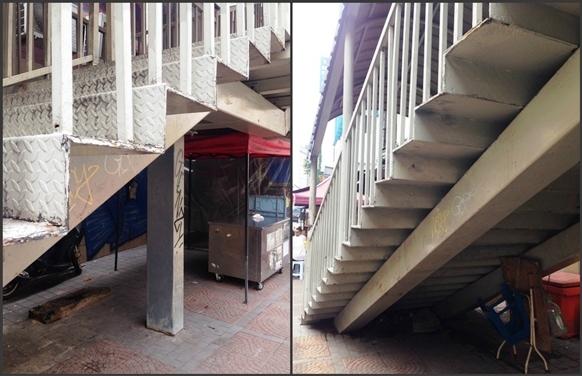 The installation of a CCTV costing RM3310 for Tong Sim Home for abandoned elderly enabled the home manager to better supervise the elderly in their care. 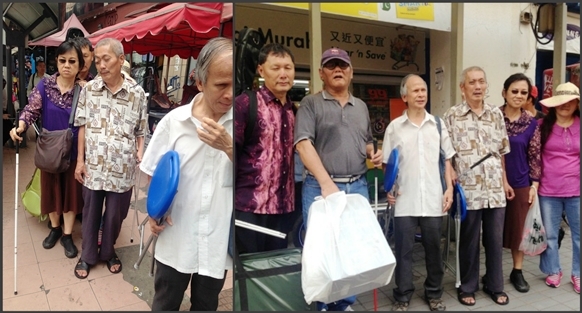 We ended the year with a small donation for the upkeep of Kg Hakka Community Centre so that the elderly residents and their families and friends can continue to hold activities at the centre. If you think as an individual, you can't do much, then do support our events and fund-raising efforts. Together we can achieve more. We organize one charity drive a year. Proceeds are channeled to our community chest, and the funds used to benefit seniors in need. 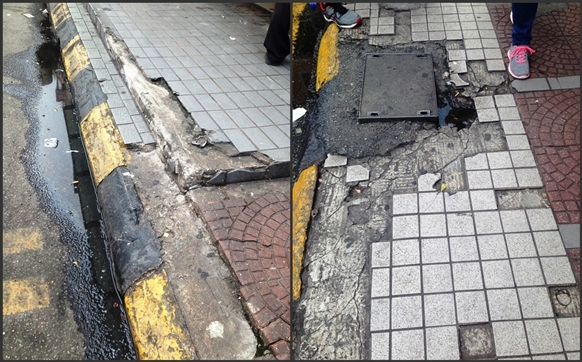 A common sight in Pasar Seni-Kota Raya as well as in other inner city areas. 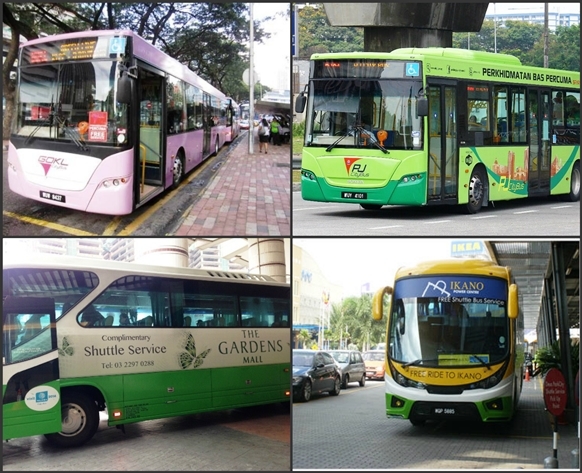 Do contact us if you know of any senior citizens or welfare homes that require assistance. If we are able to help, we definitely will, regardless of race or religious backgrounds. 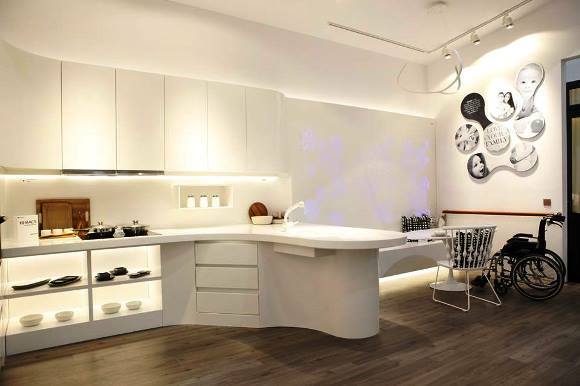 I visited HOMEDEC (Part 1) last Friday mainly to check out the three design concepts for aged care living. 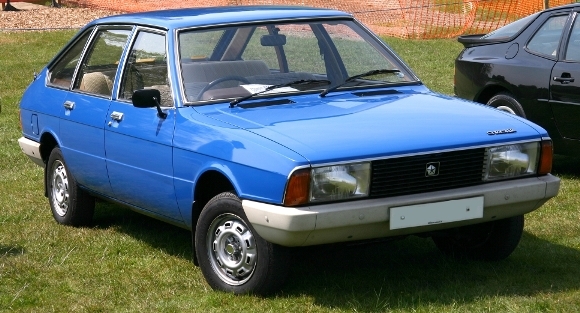 This was touted as the special feature of this year's exhibition. I came away quite disappointed at what was showcased. 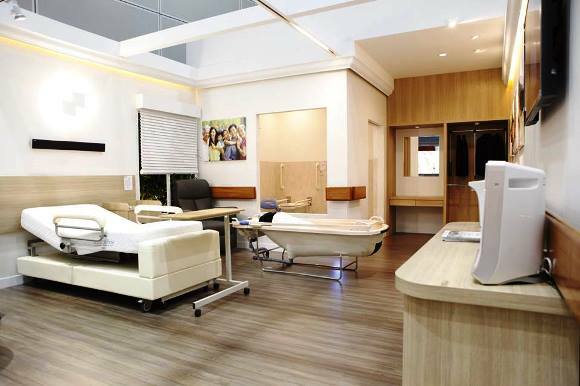 Having visited aged care facilities in Singapore, Australia and the Netherlands, there was plenty that could have been added to the units on display. 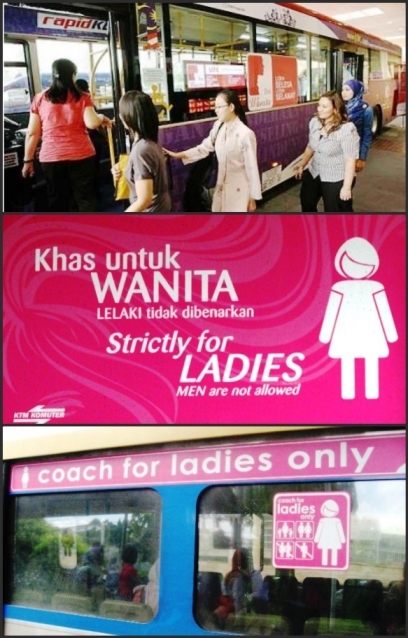 Perhaps the limitation could have been due to space constraint. However, having said that, the organisers did come up with a booklet that was much more comprehensive in detailing the essential features that should be incorporated into homes for the aged.